The passion with which Ranveer has crooned to Asli Hip Hop and Apna Time Aayega is proof enough that the interest in the field is not new. 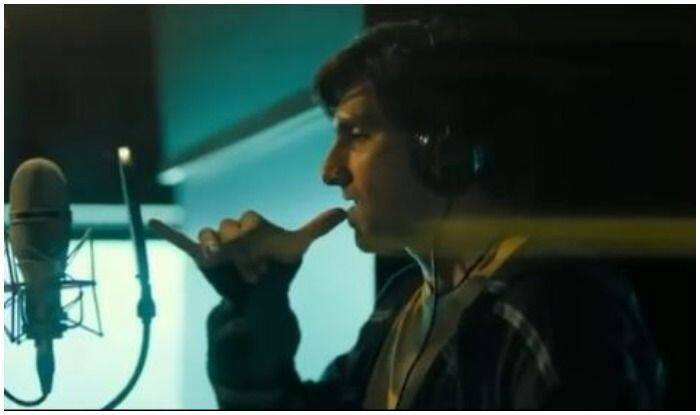 For all those in awe of Gully Boy star Ranveer Singh‘s pro rapping skills in the upcoming movie’s recently released tracks, we are here with fresh leads. The actor recently confirmed his inclination towards the genre since his childhood and all due credit to his love for music by American rapper Eminem. “I think Tupac’s ‘All Eyez on Me’ was the first album that I had mugged up. And when Eminem made his debut… he completely blew my mind. I followed his music very closely and he became one of my most favourite artistes of all time,” Ranveer said in a statement to IANS. Scoring chartbuster success with his hip-hop artiste avatar for Gully Boy, Ranveer has left fans totally smitten as he is seen not only playing a street rapper in Zoya Akhtar’s directorial but is also lauded for having sung four songs in the album, two of which are already out and raging. The passion with which Ranveer has crooned to Asli Hip Hop and Apna Time Aayega is proof enough that the interest in the field is not new. “I think I was in Class 3 or 4 when I first got into hip-hop. I loved listening to Snoop Dog, Tupac Shakur, The Notorious B.I.G, while growing up and I have been into that kind of music ever since. I used to watch a lot of MTV and that’s where I first experienced it. There is a cousin of mine who migrated to the US and whenever he used to come down for summer holidays, he used to bring this music and we used to sit and hear it all the time,” said Ranveer. Starring Alia Bhatt, Vijay Raaz, Kalki Koechlin, Siddhant Chaturvedi and Vijay Verma apart from Ranveer, Gully Boy is slated to hit cinema screens on February 14.